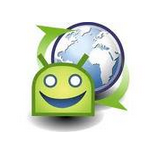 It's no secret that the Android Market isn't exactly the easiest place to find what you want. Unless an app is super popular, brand new, or you know its exact name, you could end up wandering in that virtual mall like a small child whose mother forgot to tell them she was heading to the next shop. AppBrain has been a popular way to deal with the poor organization of the Market, allowing users to search for apps in a variety of categories and giving suggestions for programs based on what is currently installed on users' handsets. 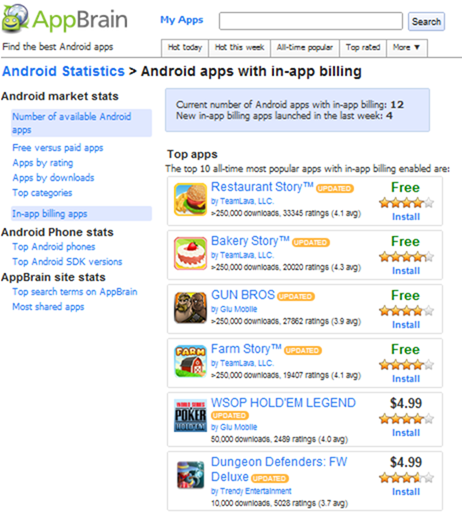 Today, AppBrain added a new category: apps that use in-app billing. As in-app billing was released today, there are currently only twelve apps on the category's page, but that number is sure to rise. According to AppBrain's statistics, 90% of all paid apps have 500 or fewer installs, so a new way to monetize applications will surely be embraced by developers.